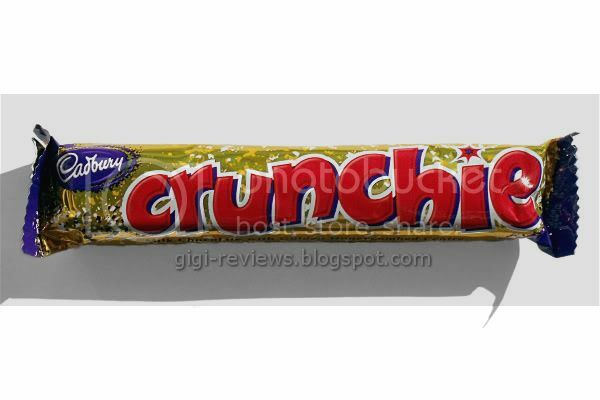 Brit Week marches on (in one of those fuzzy black hats that are taller than me) with a bar that I am very excited about: the Cadbury Crunchie! There are not many candy additives that, when added to a bar, instantly pique my interest -- and sponge toffee is one of those. (Another is raisins. Mostly because they're just not used enough.) I very rarely dislike it. Also because this was a bar that Jim rated very highly, and for the most part we have very similar tastes (except he loves white chocolate and I tolerate it at best). You can read Jim's review here. Cybele reviewed the bar as well, and you can see her review here. Looking at the cross section of the bar, it does have a nice caramelized center color. 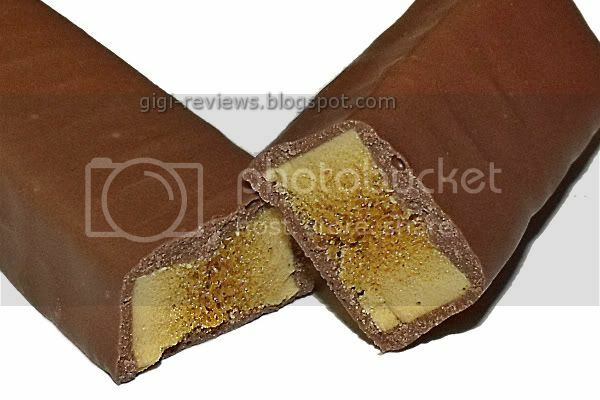 The layer of chocolate is thickest on the top, but the bottom and sides are nicely covered, with no exposed bits. The scent of the bar is merely the standard sugary-sweet smell that all Cadbury chocolate seems to have. Biting into the bar you can break it cleanly, but the sponge toffee center starts to melt immediately. It's malty, and there's just a hint of caramel flavor. The easiest way to describe the taste of the center would be to tell you it's like burnt marshmallow. Do you people have any idea how much I LOVE burnt marshmallow? The airy texture resembles every other malt ball on the planet, but it seems lighter to me. More like a meringue. The chocolate is very sweet (all Cadbury chocolate seems a little too sweet for me) but it has a good milk flavor to it. Not real milk, mind you. I will call again on my Starship Enterprise replicator version of powdered milk analogy. 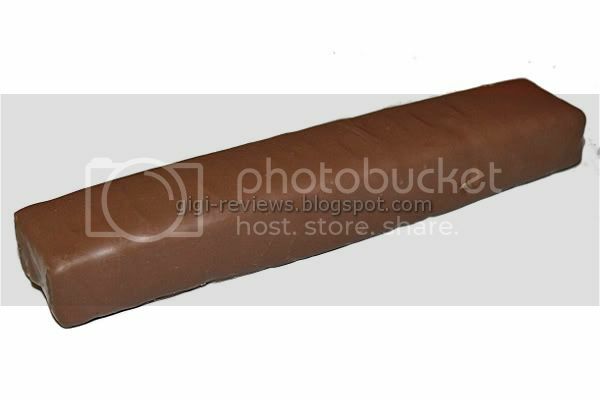 The chocolate is cool on the tongue and does melt smoothly and quickly. Even though I may not be the biggest fan of the chocolate, in this case it worked well enough. And maybe it's for the best that it was a little too sugary for me, because otherwise if it had a really high end milk chocolate, I might begin to resemble Jabba the Hutt a little too closely for my own liking. This is how much I liked the bar: I finished it in one sitting and refused to share more than the smallest of nibbles. Thank goodness I can get this bar close to home! I had one when I still lived home in Canada (we make them too), hated it, but my wife loves them.